Details matter: WILLIAM ANTHONY McCLURE a/k/a "BILL McCLURE" (BM) gave a city tourist apartment at 105 Marine Street, Room 6, as his address on May 31, 2018. BM lives in a 5000+ square foot mansion in Crescent Beach. It is homestead property, subject to the homestead property tax exemption. Despite having only moved into the city limits within the last couple of months, St. Augustine mayoral candidate Bill McClure describes himself as someone with long ties to the area. But his move and ownership of multiple properties has raised some questions about where he spends most of his time. McClure said he’s had a St. Augustine mailing address, though not in the city limits, for a long time. Before he filed to run in St. Augustine, he spoke with The Ponte Vedra Recorder about living in Ponte Vedra Beach, according to an article posted on their website in April. McClure filed in May to challenge Mayor Nancy Shaver for the seat she’s held for about four years. St. Augustine City Commission candidates have to be registered voters and residents when they file to run, said Vicky Oakes, St. Johns County supervisor of elections. McClure met those requirements, she said. He lives in on Marine Street with his wife and son, he said. His address is reflected in his candidate paperwork. McClure’s financial disclosure says he owns three properties: one off State Road A1A south of State Road 206, one off Third Street in Jacksonville Beach and a condo off Mickler Road in Ponte Vedra Beach. Property appraiser documents list all of them as residential properties. McClure said he and his family use their properties, but their primary address is now in St. Augustine. He chose to run, he said, because he believes the city is “headed in the wrong direction” on key issues such as road conditions, panhandling and parking and traffic. This isn’t the first time he’s changed addresses. When he ran for St. Johns County Commission District 3 in 2012, he listed his address as Brantley Harbor Drive, which is near St. Augustine Shores off U.S. 1 South. District 3 represents southeast St. Johns County. Like many properties in St. Johns County, the official address is listed as St. Augustine, but the property is outside of the city limits. He moved to St. Augustine in 2004, according to a biography from the 2012 campaign. When he ran for Congress in 2016, he listed his address as Mission Hills Drive South in Jacksonville. McClure said though he hasn’t always lived in the city, he’s been coming to the city since he was a boy and went to school in the area. Though he hasn’t served on a city board before, he’s held several roles in community groups such as the Elks Club and youth organizations, he said. His current titles include president of Friends of A1A Scenic & Historic Coastal Byway. In addition to facing Shaver in the Aug. 28 primary, he’ll face Anastasia Mosquito Control District board member Jackie Rock. If one person wins 50 percent of the votes cast plus one vote, that candidate will win the election. If not, the top two candidates will face off in the general election. That’s the same set up for the race for seat four of the St. Augustine Commission, a seat now held by Vice Mayor Todd Neville. Neville did not file to run for re-election. Three candidates are in the seat four race: local contractor John Valdes, Confederate monument supporter Jill Pacetti and St. Augustine Vagrant Watch Group Facebook page moderator Wade Ross. The final St. Augustine Commission seat up for election will be a race between incumbent Commissioner Nancy Sikes-Kline and political newcomer Chris Ellis, a security guard. That race will appear on the general election ballot because it only has two candidates. 3. 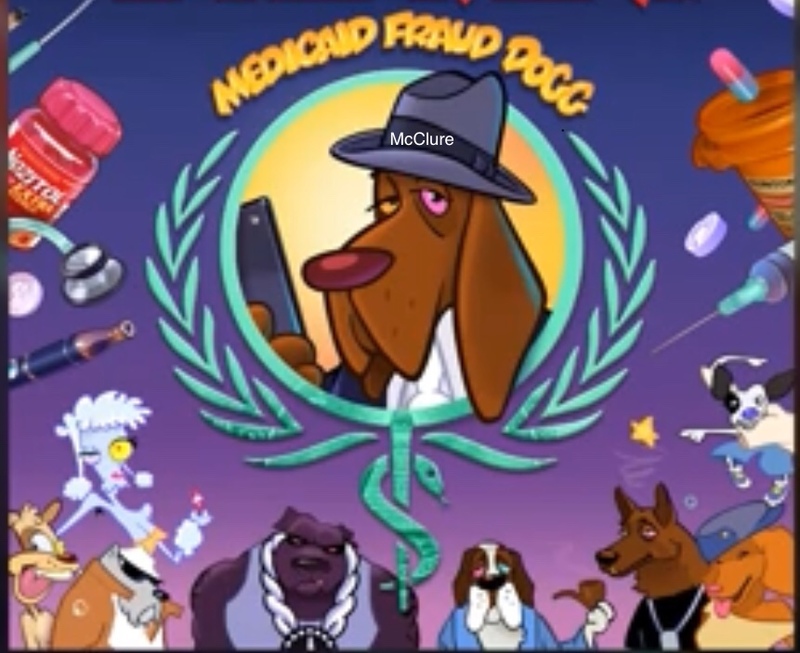 Running for Congress in 2016: BILL McCLURE, "Political Tourist" LIED to Melissa Ross About 2014 Medicaid Fraud Raid -- BM Said it was in "2004". Oops. 4. 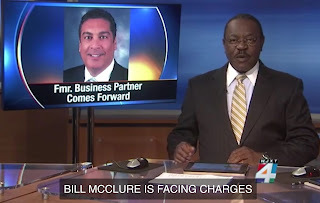 MAYORAL CANDIDATE BILL McCLURE UNDER "ONGOING CRIMINAL INVESTIGATION, with "a reasonable, good faith anticipation of securing an arrest or prosecution in the foreseeable future"
8. 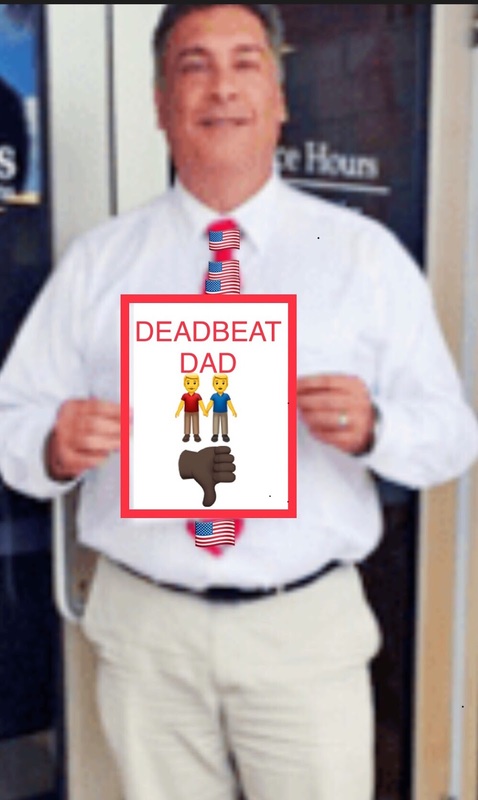 MAYORAL CANDIDATE BILL McCLURE THREATENS ILLEGAL SLAPP SUIT: His criminal defense lawyer sent me a June 6, 2018 "cease and desist" e-mail, labelling my Open Records request to the Florida Attorney General "illegal demands," "actionable" and "harassing" and "misconduct." Details matter: WILLIAM ANTHONY McCLURE a/k/a “BILL McCLURE” (BM) gave a tourist apartment at 105 Marine Street, Room 6, as his address on May 31, 2018. BM lives in a 5000+ square foot mansion in Crescent Beach. It is homestead property, subject to the homestead property tax exemption. McCLURE took NO position about alleged misconduct that led to Republican County Chair WILLIAM KORACH's being fired by the Republican Party of Florida, after a grievance hearing on allegations that included "public drunkenness, 'improper acts towards females' to include 'even touching improperly,' promoting personal opinions on party letterhead, failing to file accounting records, and conducting a business meeting without a quorum and improperly electing new members to the committee." 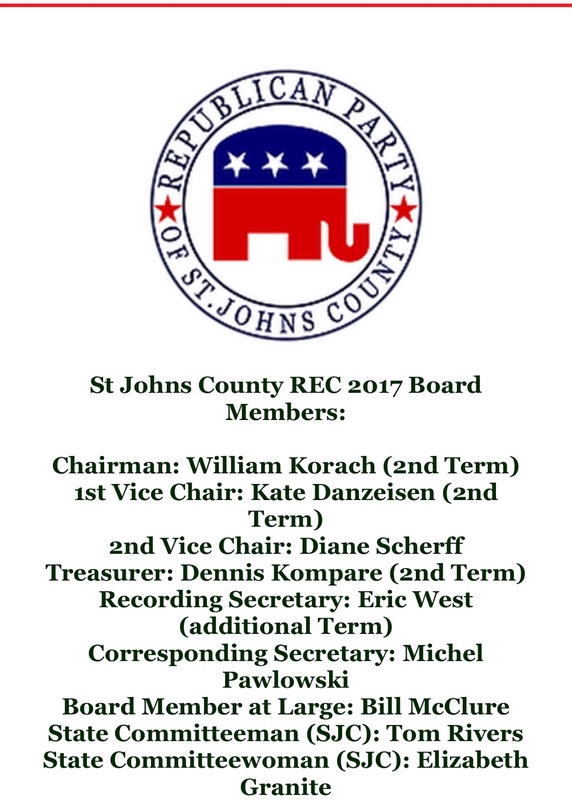 "Political Tourist" BILL McCLURE was until recently an At-Large member of the Board of the St. Johns County Republican Executive Committee. McCLURE remained silent about KORACH's alleged misconduct. Why? 1. WILLIAM ANTHOONY McCLURE a/k/a "BILL McCLURE" (BM) is a "Political Tourist." 2. 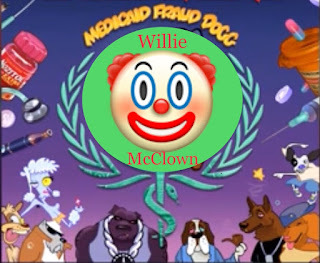 BM is under "ongoing" State Attorney General Statewide Prosecutor criminal investigation of Medicaid fraud. Under the Fourth Amendment, a judge found "probable cause" supported by affidavits reported by the St. Augustine record, that crimes were being committed at McClure's businesses. 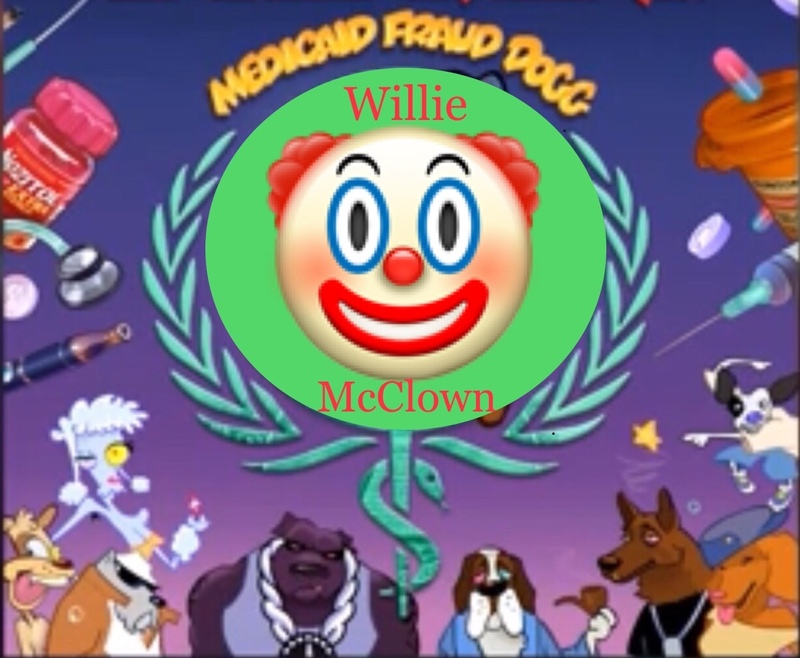 Search warrants were executed on October 9, 2014 at his Medi+M.D. offices at 167 Palencia Village Drive and 600 South Plantation Island Drive by the Florida Attorney General's Statewide Prosecutor criminal investigators, concerning possible "health care fraud, conspiracy to commit health care fraud, Medicaid provider fraud, grand theft, falsifying a death certificate and practicing medicine without a license." 3. 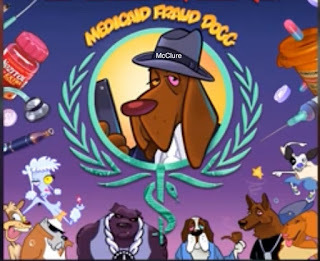 McCLURE's criminal defense lawyer, CURTIS FALGETTER, threatened me with an illegal Strategic Lawsuit Against Public Participation (SLAPP suit) for requesting documents on Medicaid fraud investigation. What a bumptious bully. 4. McCLURE gave four (4) addresses in two (2) counties in two years, including a Jacksonville address used in his quixotic 2016 run for Congress (9.8% of Republican primary votes), and a rental he ran from for County Commission in 2012. 5. McCLURE is a "Political Tourist" with a "Trojan Trolley, (not ADA complaint), used to ferry people from St. Augustine Beach City Hall parking lot to the St. Johns County Ocean and Fishing Pier Park for St. Augustine Beach Civic Association Wednesday concerts. McCLURE and his wife ride the shuttle, as he cadges votes. 6. McCLURE is a phony "Political Tourist." Show me any proof that he's living at 105 Marine Street, Room 6. Do some investigative reporting for a change. 7. Watch this conman. "Political Tourist" BM is tsouris.